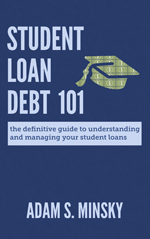 I publish a nationally recognized student loan blog. 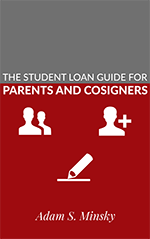 In addition, I’ve published books, written and co-written book chapters and articles on student loan law, and I’ve been interviewed by major news outlets in Massachusetts, New York, and beyond on the latest developments in student loan policy. “Senator Warren Proposes New Bill to Refinance Student Loans,” The Daily Free Press, Jan. 26, 2014. “Why it’s So Hard to Settle Student Loan Debt,” by Liz Weston, Reuters, Nov. 4, 2013. “Government to Switch Student Loan Servicers: What You Need to Know,” Credit.com, August 15, 2013. 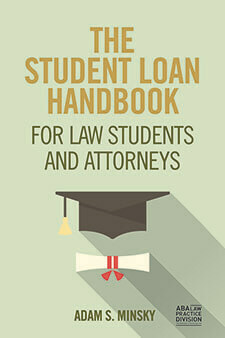 “A new Pay-As-You-Earn Student Loan Repayment Plan,” Kiplinger’s Personal Finance Magazine, February 2013. “Unrepaired Education Dept. System Leaves Thousands Stuck in Default,” The Chronicle of Higher Education, April 19, 2012. “Alum: Bill Proposing to Rid Loans After 10 Years Would Boost Students,” The Daily Free Press, April 17, 2012. To Forgive is Divine,” Northeastern Law Alumni Magainze, Winter 2012 (Vol. 11, No. 1).